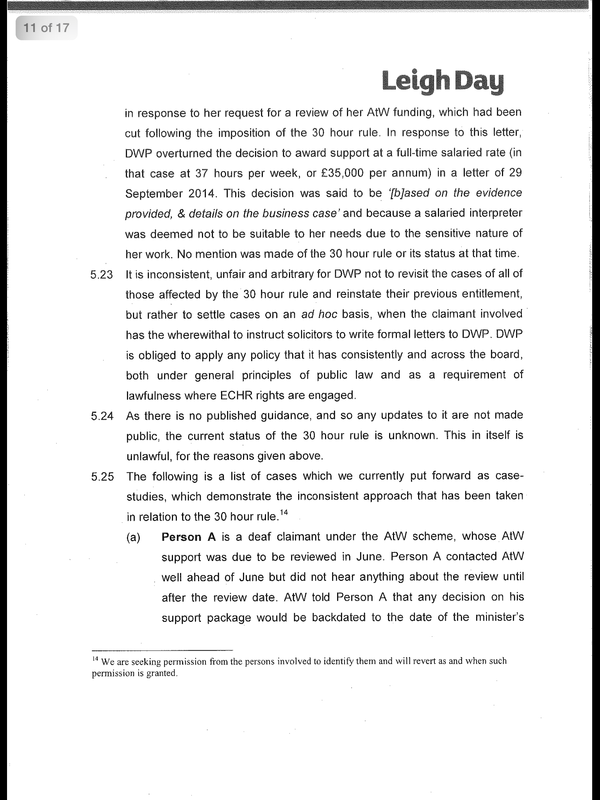 The deadline for a response to our letter to the DWP was today. 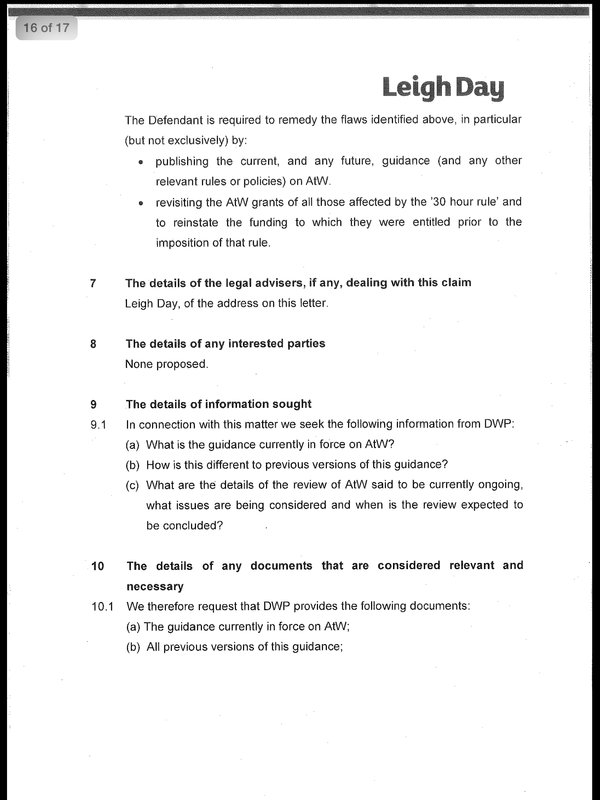 We have been informed that the DWPs law firm have contacted Leigh Day to request an extension to respond to our pre-action letter. The deadline has now been extended to next Friday, 12th December. In their letter to us, they made it clear that they would raise the issue of costs, were we not to agree. In other words they will try and bias the judge into believing that we were behaving unreasonably – knowing that we are applying for a protective cost order. 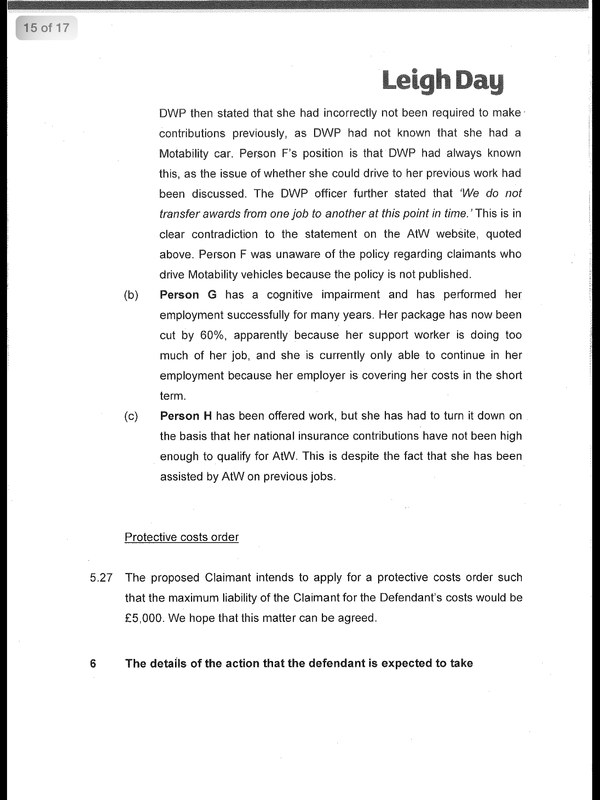 This is just the sort of behaviour we have learned to expect from the DWP and this government, and their response came of little surprise. 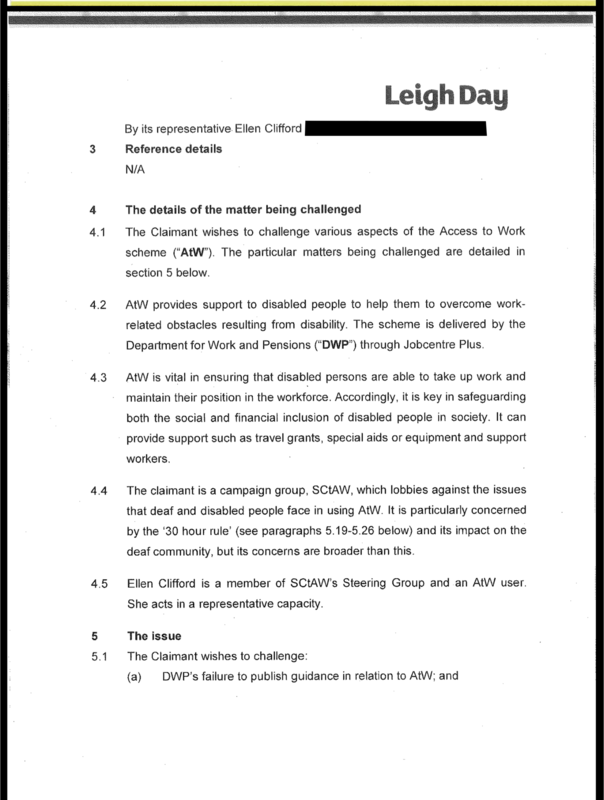 Please see below the copy of the letter sent to the DWP. It’s very long, so we’ve added a short summary. 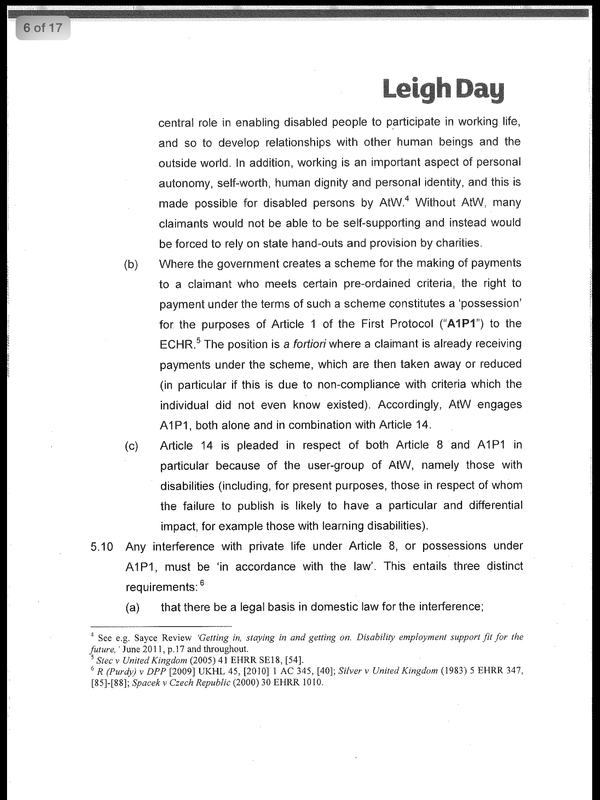 First page explains who the case involves: Stop changes challenging the DWP. 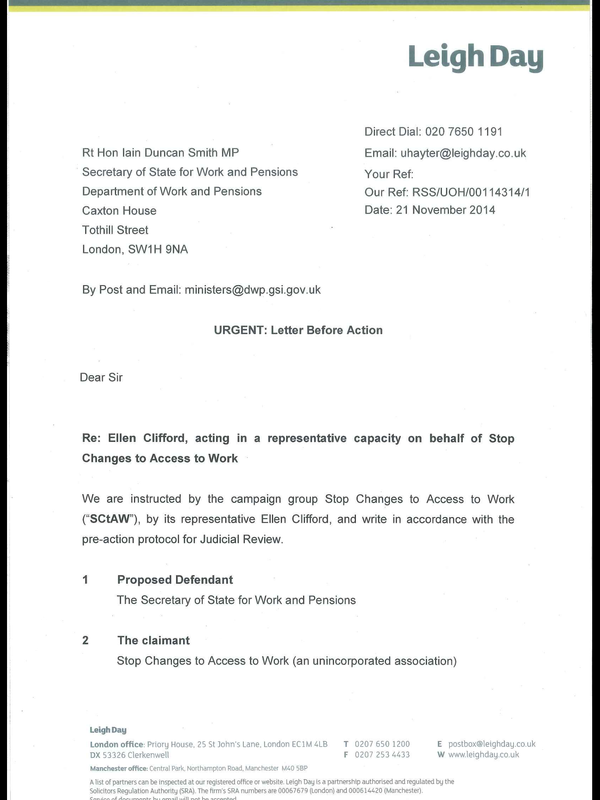 Then the letter describes what access to work is and who Stop Changes are. Ellen Clifford is the person named in the case. She is an experienced campaigner and a member of the Stop Changes group. The letter then explains what we want to challenge. 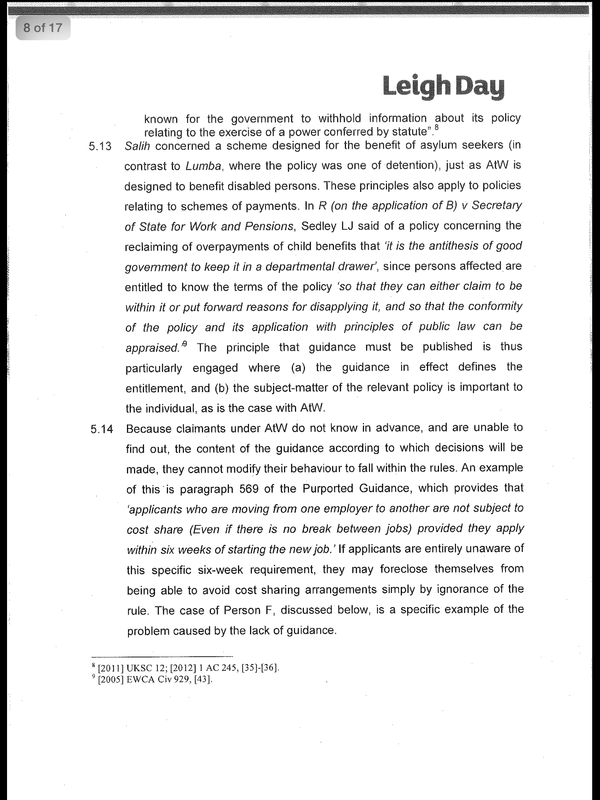 We are unhappy that guidance the DWP uses isn’t available publicly. It is not officially published anywhere. Even the House of Commons Library is using information from a Freedom of information request! 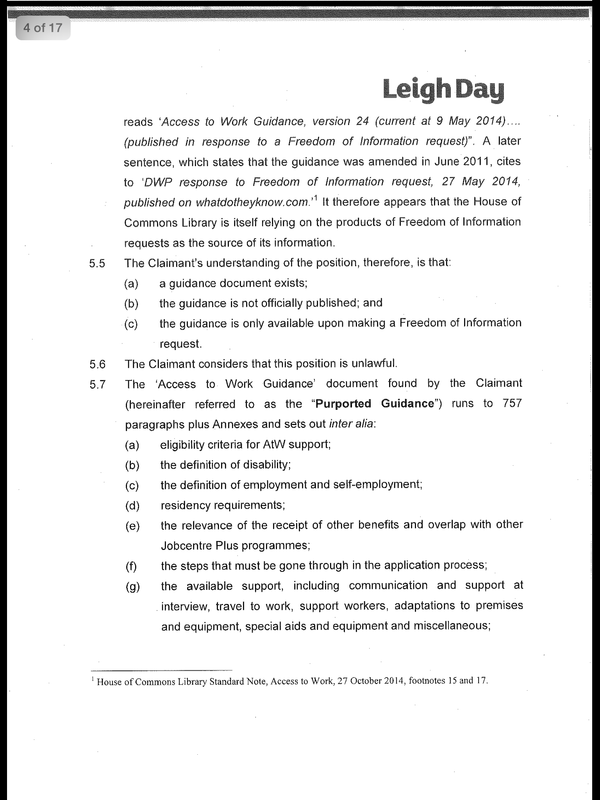 We believe that guidance exists, but it is not officially published and you can only get a copy from a freedom of information request. The guidance we found is 757 paragraphs long. 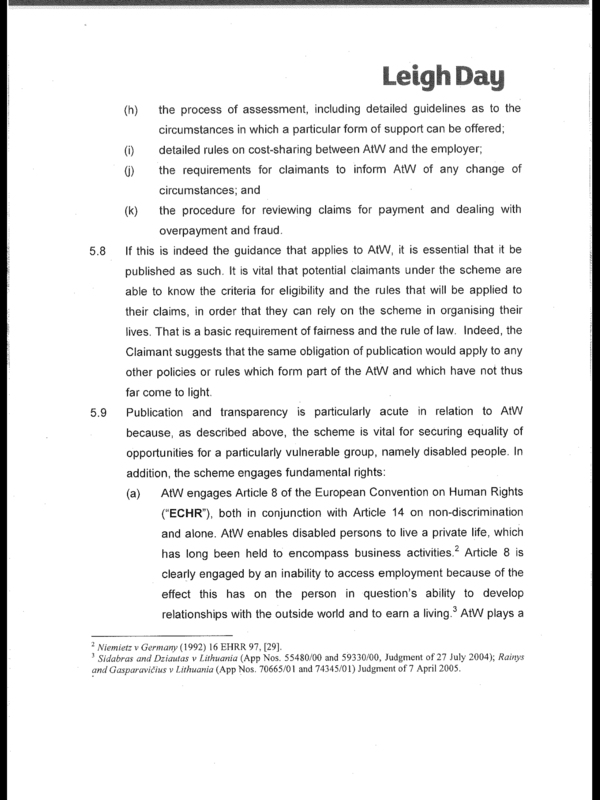 It explains ATW eligibility, defines self employment, how to apply, how you will be assessed, what support is available, how much employers have to pay, what to do if your circumstances change, how claims are reviewed, how to deal with overpayment and fraud. 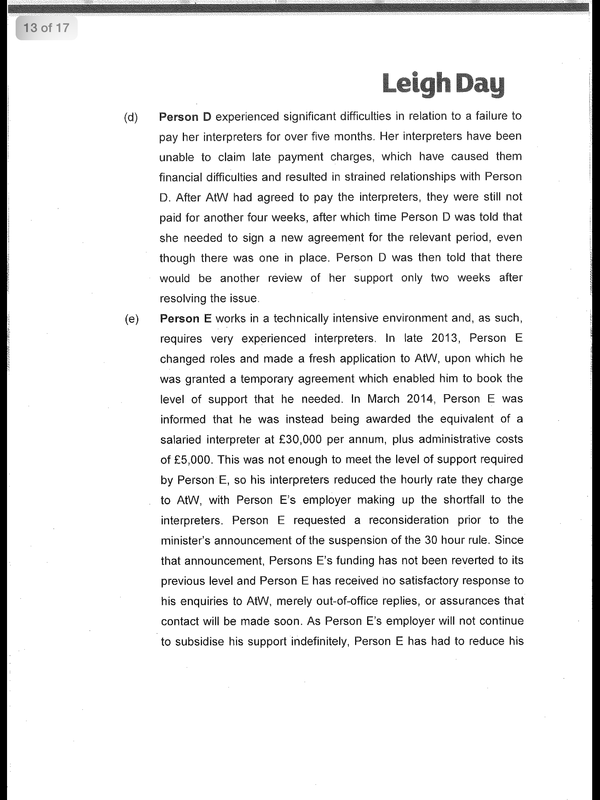 The letter then gives lots of reasons why the guidance is so important for people claiming – so people know what they can expect and how to manage their support. 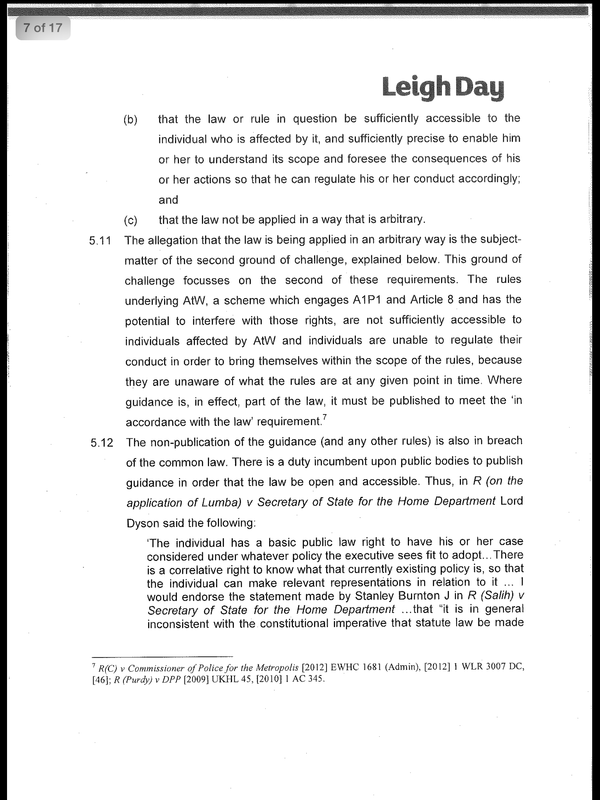 We believe not publishing guidance is breaking the law. 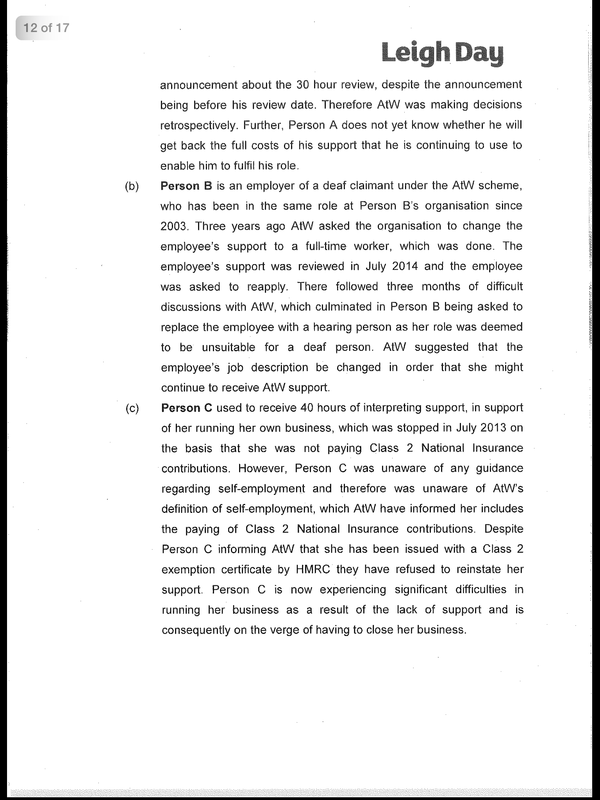 Next, the letter uses lots of case studies and examples where people have been treated differently. 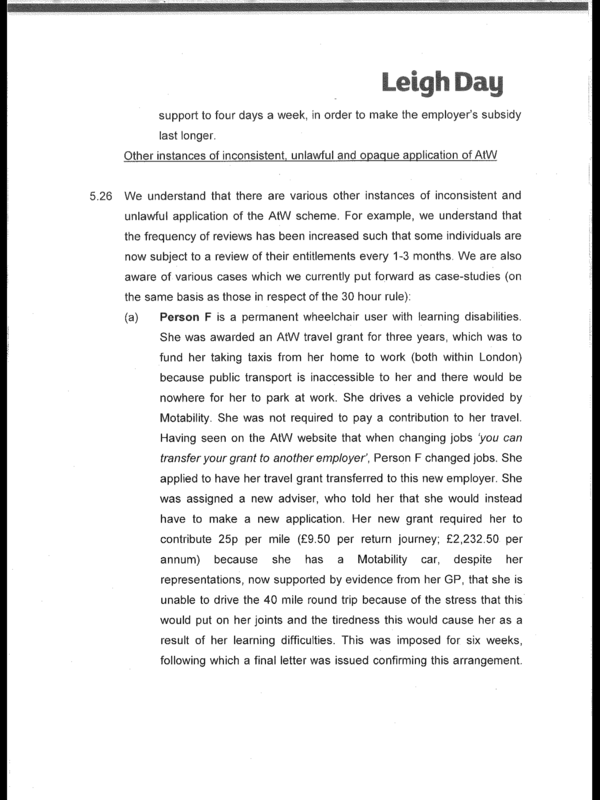 It talks about the 30 hour rule and the fact that although the Minister announced this was suspended, some people are still under this rule so the DWP haven’t been consistent. 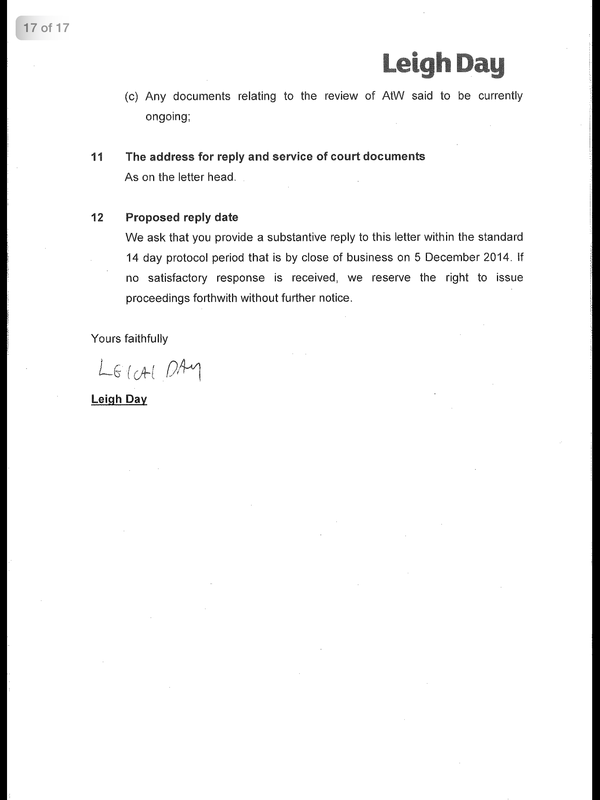 We then ask for a protective cost order, so we only have to pay £5,000 to take this case. The letter then says what we want to see happen. 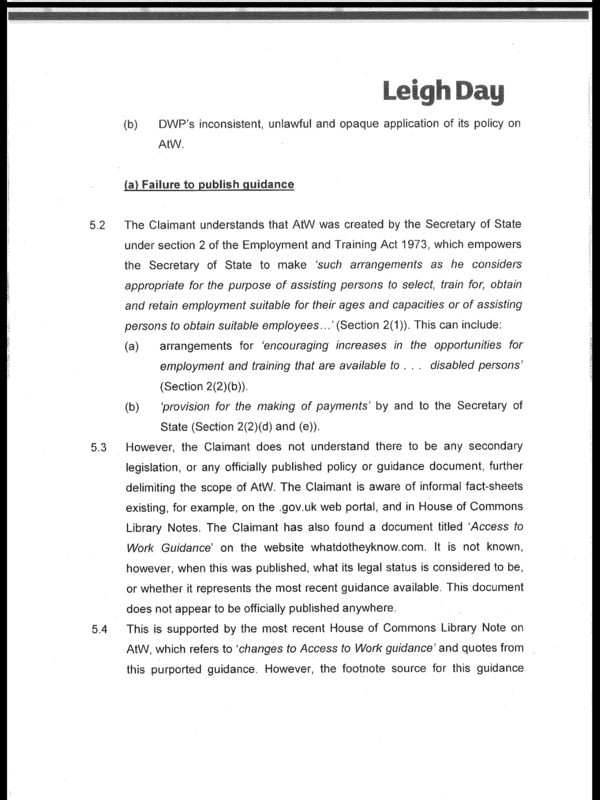 We want the DWP to publish their guidance or any other rules about AtW, and we want anyone who has been affected by the 30 hour rule to have their previous level of support back. 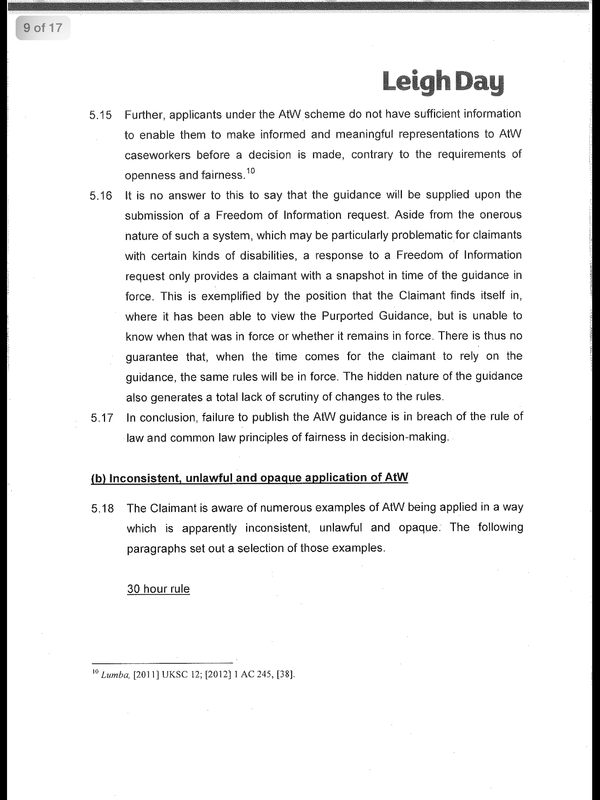 We want all the guidance documents from AtW, old and current. We asked for a response within 14 days.